Watch fishers for their tree-climbing, hunting and agility. They are nearly the only animals that will kill and eat porcupines. They use speed to stay in front of the porcupine and swat at its face, where there are no quills. Despite their name, fishers do not catch or eat fish. Instead, they eat small or dead animals, wild berries and nuts. Fishers need mature forests or dense wetlands. They do not keep a den, though they may hole up for a short rest or to avoid extreme cold. Fishers are constantly on the move: a male fisher’s territory can be up 150 square miles. 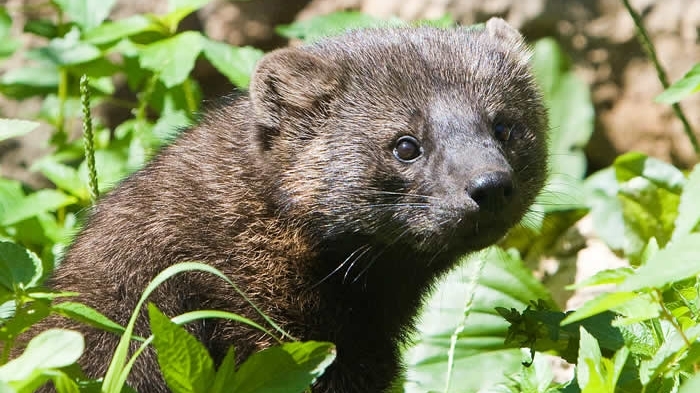 Historically found in Minnesota’s northern forests, fishers almost disappeared with unregulated trapping and logging. They are now doing well again. Weight: 10-12 lbs for males, 5-7 lbs for females. 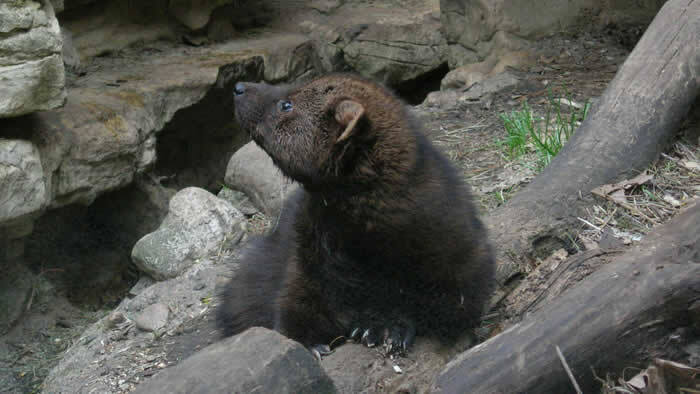 Normally shy and secretive, fishers are difficult to breed in zoos. 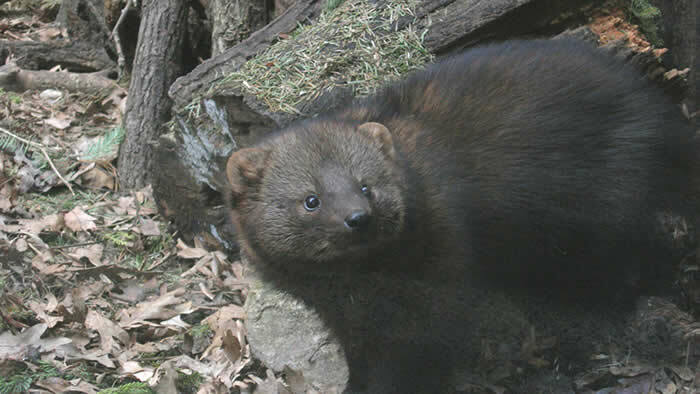 However, on March 23, 2008, three fisher kits were born at the Minnesota Zoo. Hind paws that rotate allow fishers to grasp branches and climb down trees head first. Fishers like to nest in cavities in trees. They will even use cavities used by other animals. If you don’t see the fisher in the exhibit, check inside the hollowed out log. Female fishers breed only a week or two after giving birth.